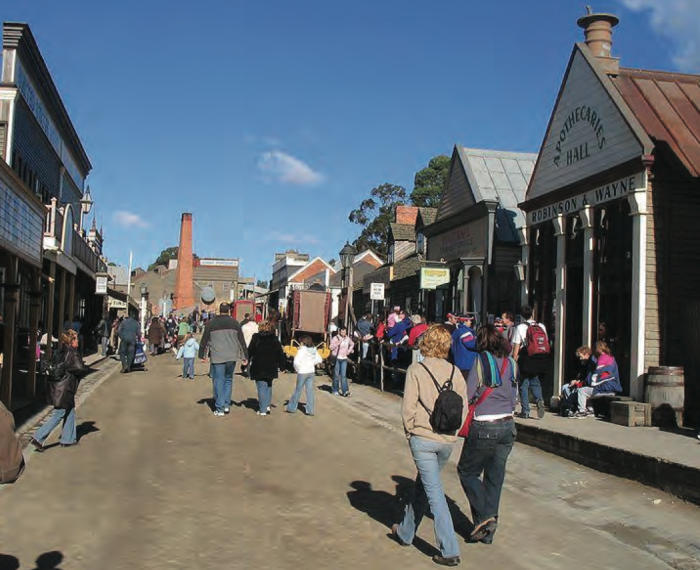 Teaching resources, interactive guides, activities and opportunities for excursions – we have a wide range of teaching and learning resources for exploring Victoria’s history and heritage in both primary and secondary classrooms. Victoria’s Framework of Historical Themes has been used as the basis for a teaching resource that uses a thematic rather than a chronological structure to explore Victoria’s history and heritage. Themes include iconic features, stories, movements, geographic features, people and monuments of Victoria. Teachers can use Victoria’s Framework of Historical Themes with students to develop a wider appreciation of Victoria’s diverse Aboriginal, historical and natural histories. The Teacher’s Guide gives teachers an overview of the themes as well curriculum links that connect to both the Victorian Essential Learning Standards (VELS) and Australian Curriculum. Lesson Starters and Activities are designed to generate classroom discussions and help students capture a glimpse of the past through the material remains and records of historical Victoria. Case studies and activities are provided for Lower Primary, Upper Primary and Upper Secondary classes. Culture Victoria has also mapped all of its stories to the Themes. Many of the Culture Victoria stories include educational resources, and teachers can use the short films to illustrate the Themes in the classroom. The free Vic-Heritage App is perfect for bringing history to life and provides access to the history of significant buildings and places by searching or looking at what’s ‘near me’. Students can go on our ‘Recommended’ audio tours, or create their own tours in their local area. The app is perfect or excursions, City Experience programs or regional trips as it features historic and architecturally significant places in Melbourne and regional Victoria. The app has been developed for iPhone, iPod Touch and can also be used on iPad. Navigate our interactive neighbourhood and learn about Victoria’s nine main housing styles and the social history of our houses and suburbs with What house is that?. read about the social history of the era. Culture Victoria showcases stories from cultural agencies and collecting organisations around the state and it includes stories developed by Heritage Victoria. Tales from the Deep: Stories and recollections from John Black one of Australia’s early underwater explorers. Unearthing a 19th Century Chinese Kiln : An archaeological find sheds light on old and new technologies during the Victorian goldrush. Restoring St Nicholas : This short film documents the restoration of a Greek Orthodox Church in Ballarat and features interviews with St Nicholas community members, tradespeople and apprentices. From Riches to Rags and back again This story tells of St Kilda’s changing fortunes through its diverse housing styles.